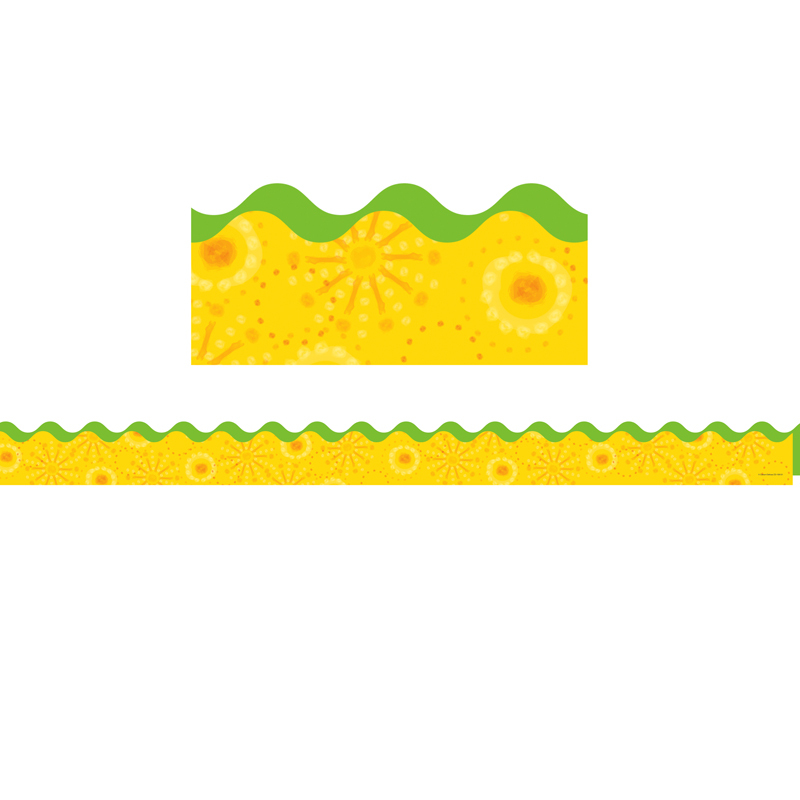 Add some cheery color to your classroom with Lemon Lime two-sided scalloped border! This new, contemporary design will add color and fun to any class creation, bulletin board, window, or anywhere a touch of style is needed! Perfect to use alone or in layers, borders come in a pack of thirteen 3' x 2.25" strips for a total length of 39 feet! Look for coordinating products in this design to create an organized, designer classroom theme!